Rose Quartz necklace 16 inches long made with smooth round rose quartz beads. 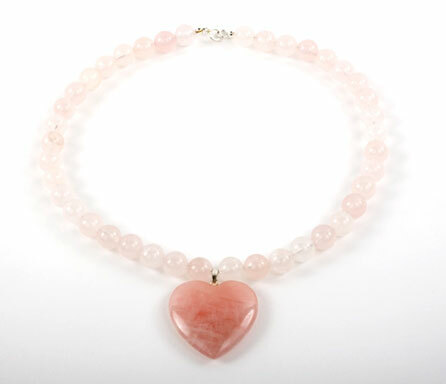 The necklace is completed with a beautiful 35cm Rose Quartz carved heart as a centre piece. A set of matching bracelets is available.